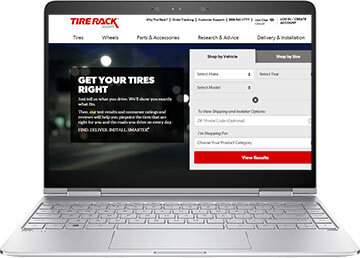 With Tire Rack coupons and free shipping deals, such as the TireRack.com coupon codes and referral numbers listed here, huge savings are possible on tires, wheels, and other automotive products. Browse below for current listings of Tire Rack coupon codes, referral numbers, and free shipping offers. One thing gadget fiends love is customization. We don’t just customize our computer or iPods, we customize our cars as well. At www.tirerack.com, you’ll not only get great savings on quality brand tires, but you’ll find unique wheels and tuning upgrades as well. Enter Tire Rack’s Upgrade Garage to find both original replacement products and performance products for highly tuned vehicles. A techie couldn’t ask for a more organized way to shop for vehicle upgrades. You can easily switch between product category results with a single click, select your vehicle and save it for future visits, add products you want to buy later to your wish list, and search the fitment guide for car, van, light truck, and SUV products. You can use the website’s tools to see how different wheel styles will change and update the look of your ride. Geeks will love the vast resources available at TireRack’s tech center. Find information on alignment, breaking in your tires, calculating approximate tire dimensions, getting the right fit for your brake system, and much more. When it comes to products, Tire Rack carries all-weather tires, winter and snow tires, wheels, brakes, lighting, wipers, and vehicle accessories. Shop by make, from Acura and Audia to Volkswagon and Volvo and choose from scores of quality auto brands, including AutoSock, Hypertech (for engine tuning), Hawk, Power Slot, ATE, Brembo, Akebono, BFGoodrinch, Bridgestone, Goodyear, Firestone, Michelin, Authentic Hot Rod, Ford Racing, and Bremmer Kraft.